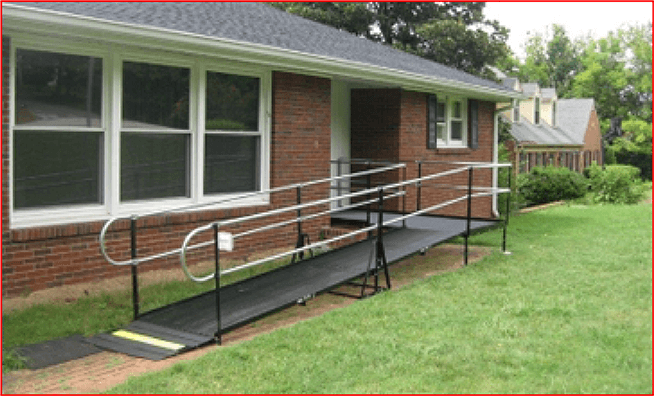 Wheelchair Ramps Reduce Expenses by Helping Clients Live at HomeThe Amramp Eastern Tennessee team installed this wheelchair ramp in Columbia, TN within 24 hours of the initial request just in time to accommodate the discharge of an injured worker. They received an email at 3 pm from the insurance company that an injured worker was being discharged the next day and they needed a ramp 3.5 hours away. The evaluation was done via the phone and internet. The approval was received at 6 pm that same night and the ramp installed the next day, just as the patient was brought home from the hospital. 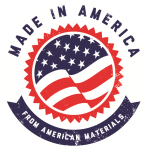 Amramp has 45 locations across the US and parts of Canada, each with local inventory to assure fast turnaround – all ready and able to take a call like this and complete the ramp installation in days – saving you money and getting your patients home sooner. Our ramps do not usually require permits or concrete footings, so they can be installed in days – year round – in almost any type of weather. We also offer an expanded line of accessibility equipment, including stairlifts, vertical platform lifts, overhead patient lifts, grab bars and portable showers. Check out our products page for more information on how Amramp can make life more accessible for your client.